This is a great tool in building fluency! Students will enjoy blending 2 syllable words! I recommend using Placemat: (1) as a teacher assessment. 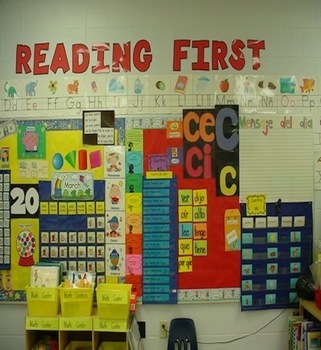 You can do a weekly assessment to see which words student can read and keep track of their progress. (2) send in Homework Folder (reinforcement at home). (3) use in small groups and (4) use in whole group; take time to go over the words on a daily basis. I suggest you make 5-6 copies on card stock, laminate and use at small group, intervention, tutorials. 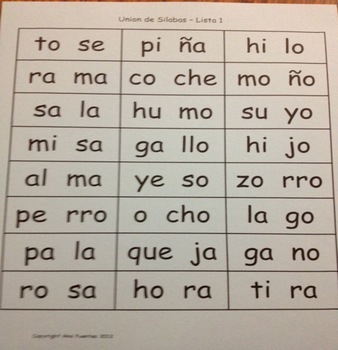 I recommend the BINGO and Dice Game UNION DE SILABAS Lista 1 along with this Placemat.